Home Run and Grow Customer Service CSAT vs CES: Does It Matter? CSAT vs CES: Does It Matter? Many commercial businesses that provide after-sale services seek ways to improve customer loyalty through their customer service organizations. In addition, companies want to utilize their resources as productively as possible. Since there are many dimensions to customer service, companies want to understand how best to utilize limited resources. The basic premise that most companies rely on is that satisfied customers are more likely to increase loyalty than non-satisfied customers. For that reason a number of metrics have been developed which attempt to measure the influence of various customer interactions. While metrics can be used both tactically and strategically, this research has focused on metrics used to measure tactical performance. Two of the more popular metrics are Customer Satisfaction (CSAT) and Customer Effort Score (CES). The goal of this research is determine which of these two metrics will have more impact on customer loyalty. Since each of these metrics has a different objective, the question is whether they could be used interchangeably. Is one more effective than the other, or should they be used complementary. 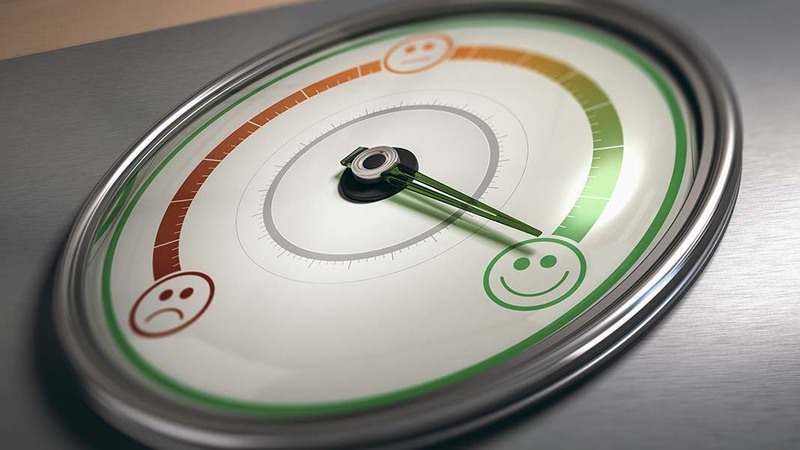 The CSAT metric is designed to maximize satisfaction whereas the CES metric is designed to minimize customer effort. The first issue is whether the two metrics yield the same service factors for resource allocation. The second issue is, if the metrics do not yield the same factors for research allocation, then which is preferable. The decision criteria for selection of which metric would be preferable is the strength of the correlation relationship between the independent service factors and either the CSAT or CES metric. The metric with the higher correlation would make the most sense to use. This study included 6381 customers from the medical electronics and IT industries. Surveys were taken during the months of April and May 2015 and included customers in both North America and Europe. The results of the surveys indicated a relatively low correlation (0.51) between the two metrics, CSAT and CES; however, the results yielded similar relationships between the independent service factors and each metric when the total sample was considered. These results also held true when the total sample was examined independently for field service and technical support. However, when the sample was examined separately for medical electronics and IT equipment the most highly correlated independent factors with CSAT and CES were different for the two products. As a result of this research we notice that maximization of satisfaction and minimization of customer effort only provide similar rankings for the independent variables. Since the two product groups which were included in the study yielded different rankings for the independent variables, a generalization seems inappropriate for concluding that the two metrics are interchangeable. Because this research focused on two very different groups of technology products, the solution for businesses wanting to increase customer loyalty should be to consider the use both metrics since it is not clear what the criteria should be for using one metric in lieu of the other. When both metrics are used the question is which of the independent variables are most appropriate for the products. Until an individual product area is evaluated, there is no obvious preferred method. To choose one over the other without the understanding of the relationships between the individual independent variables and CSAT or CES may lead to inappropriate allocation of resources.